It’s a perfect date at Jollibee this Valentine’s week! Get 2 Mini Chocolate Sundaes for FREE when you buy two Chickenjoy Perfect Pairs for only P224! 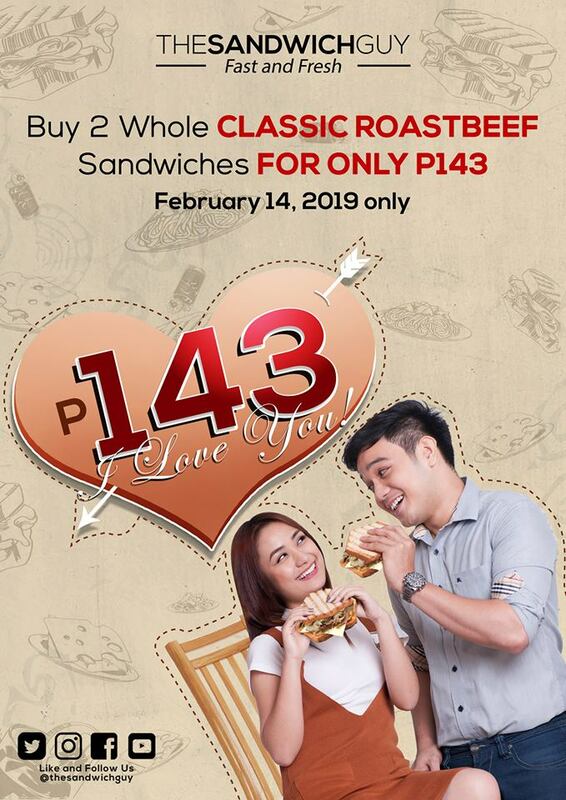 Promo is valid from February 13 to 17, 2019, for dine-in, take-out and drive-thru. Available in all Jollibee stores nationwide. 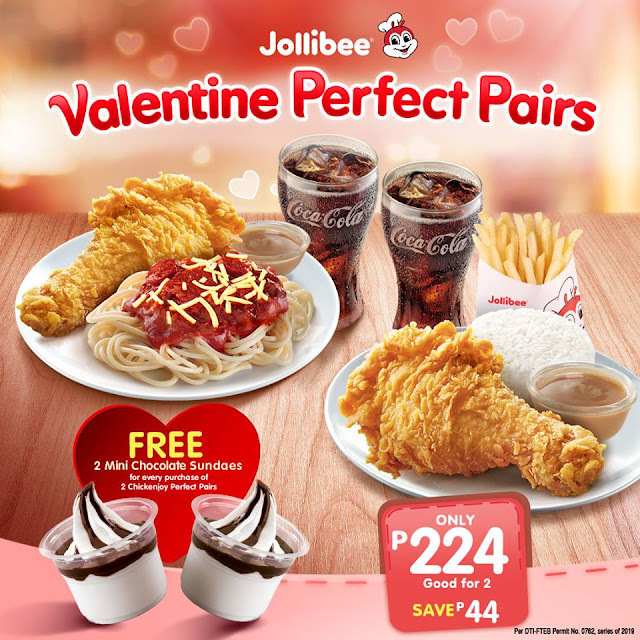 Free 2 Mini Chocolate Sundaes for every purchase of 2 Chickenjoy Perfect Pairs. Promo is from February 13-17, 2019. Promo is valid for dine-in, take-out and drive-thru. Available in all Jollibee stores nationwide. P224 is applicable only to 1 pc. Chickenjoy with Jolly Spaghetti, Regular Soft Drink and 1 pc. Chickenjoy with Fries, Regular Soft Drink. Price may vary. 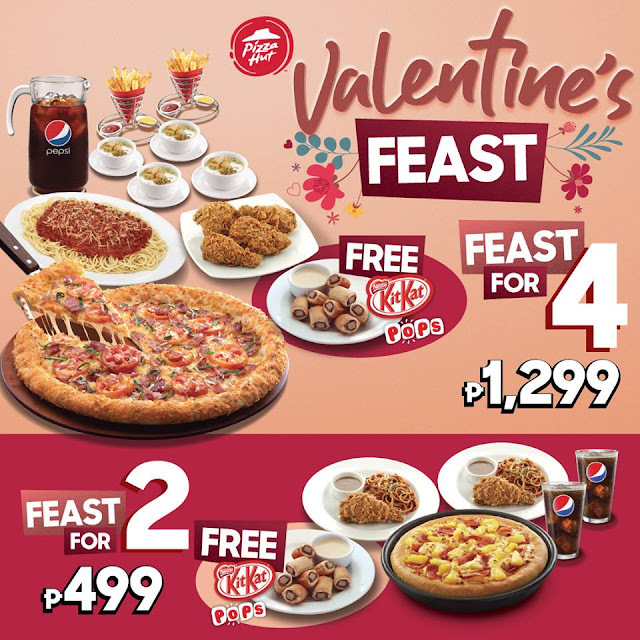 Promo is also valid to other variants of Chickenjoy Perfect Pairs with Regular Soft Drink. Price varies. 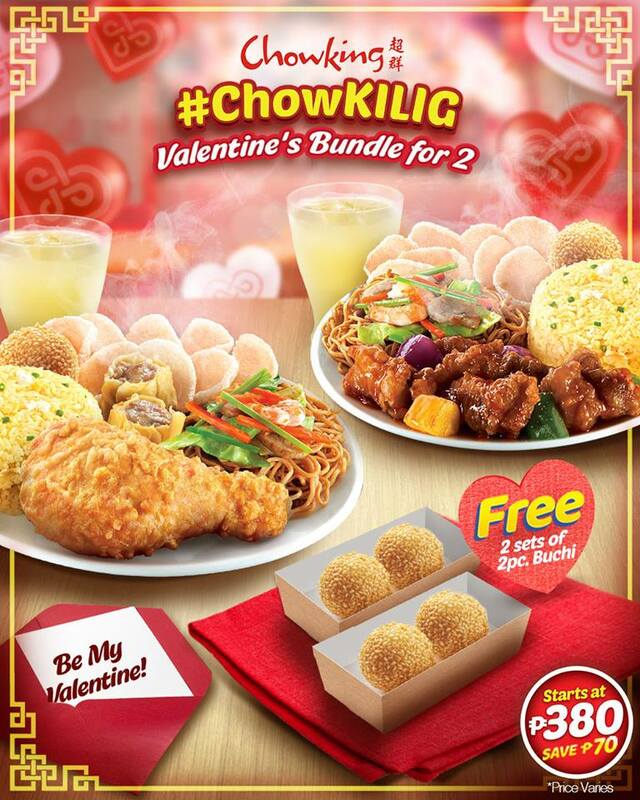 Chowking has a Valentine's Bundle for 2, price of which starts at P380, and comes with FREE 2 sets of 2-pc Buchi. You're the star this Valentine's week at Prawnstar! 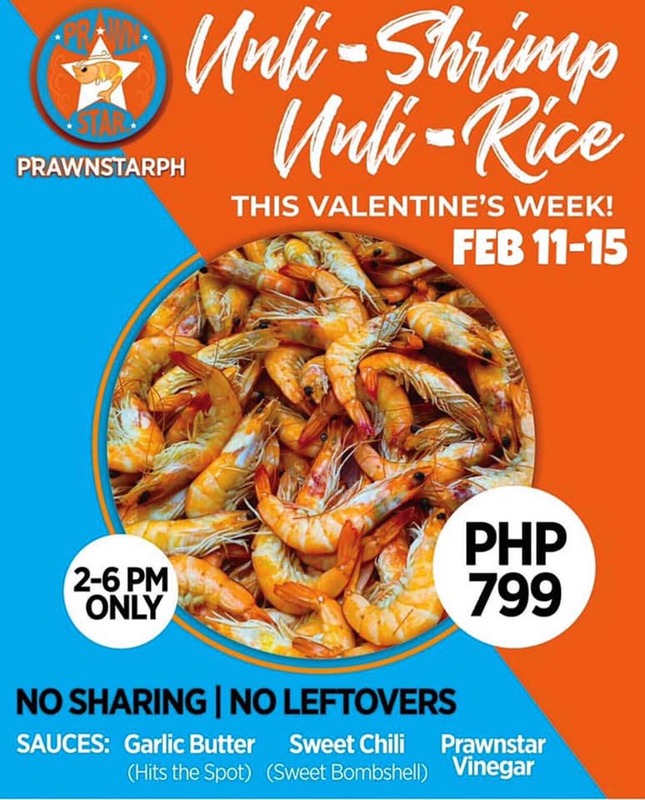 From Monday to Friday (February 11 to February 15) from 2pm-4pm, get unli-shrimp and unli-rice for only P799 at Prawnstar! Visit them this week at the Roof Garden in Level 5, Ayala Malls Feliz. Feel the love this Thursday, Feb 14 with Nathan's Valentine's Promo. 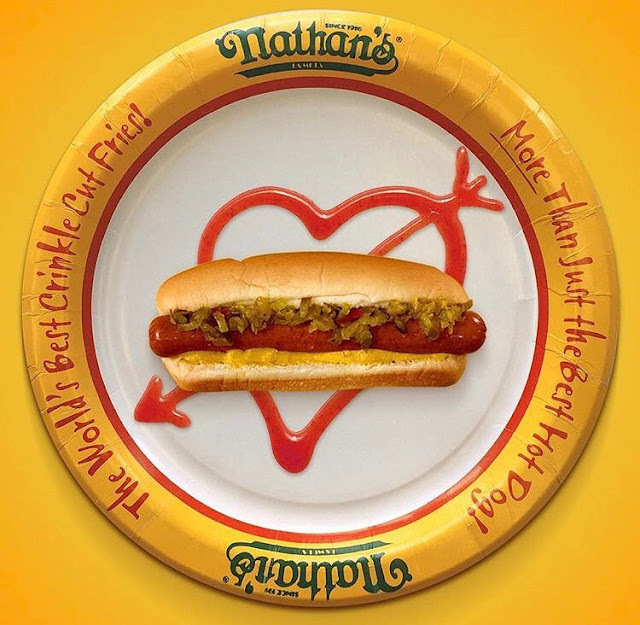 Get one FREE HOT DOG with a purchase of any regularly-priced hot dog! Exclusively available at Nathan's Vertis North and Met Live Mall, Macapagal. Celebrate Valentine's Day at Pizza Hut with their Valentine's Feast and get FREE Kit Kat Pops with every order. Dine-in at the nearest Pizza Hut store to avail of the promo. *This promo is exclusive for Dine-in only. 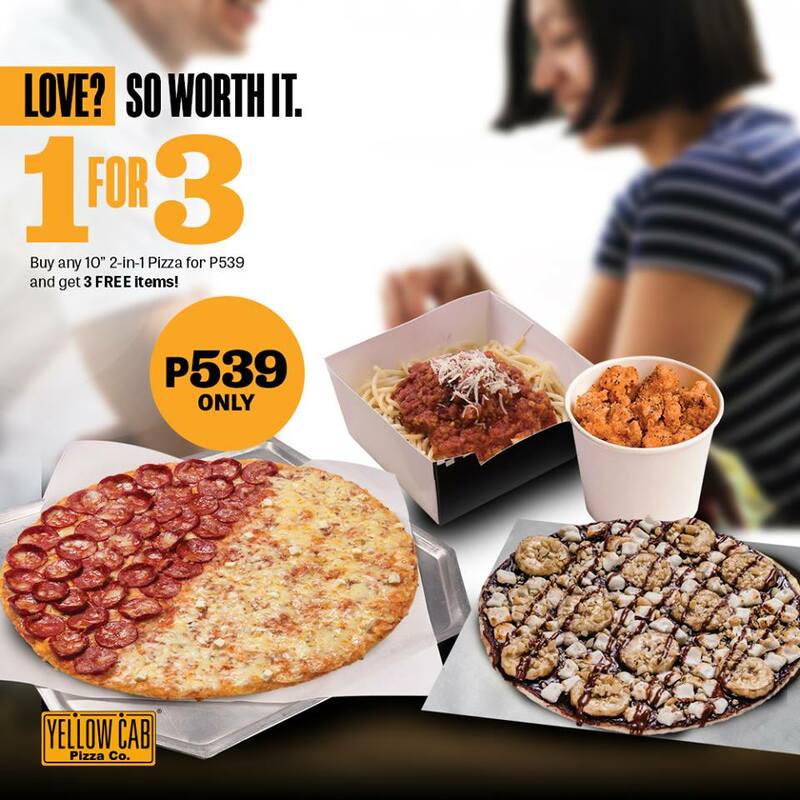 Say ‘I love you’ with the good stuff at Yellow Cab: Buy any 10” 2-in-1 Pizza for P539 and get FREE Regular Spaghetti & Meatballs + Regular Salt & Pepper Chicken Poppers + 6” Dessert Pizza (any flavor)! Hustle up and go to delivery.yellowcabpizza.com or call 789-9999 to order yours now! Promo runs from February 14-18, 2019 for Dine In, Take Out, Delivery, and Curbside Pick-Up transactions. 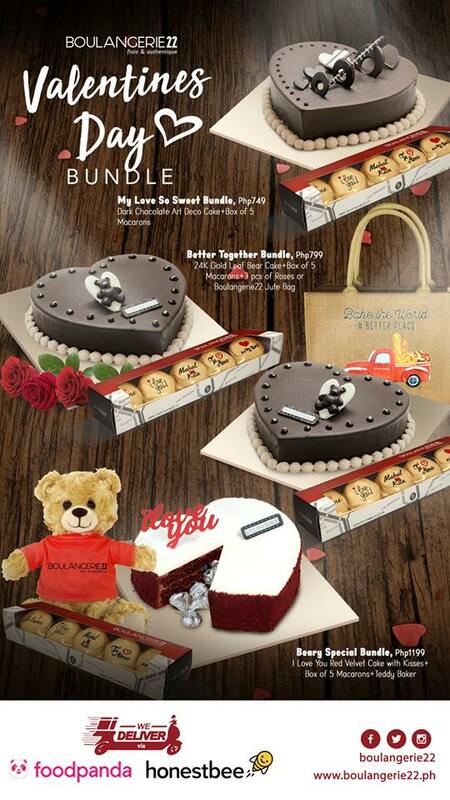 It's already #LoveMonth and #Boulangerie22 has a special treat for everyone whether you're single or in a relationship! Surprise your loved ones with any of their Valentine's Day bundle available from February 13 to 17, 2019. Price starts at P749. * Available on all branches. Say 1-4-3 on February 14 with Dairy Queen's Special Hearts Day treat! Get 2 Regular Chocolate Shakes for only P143. 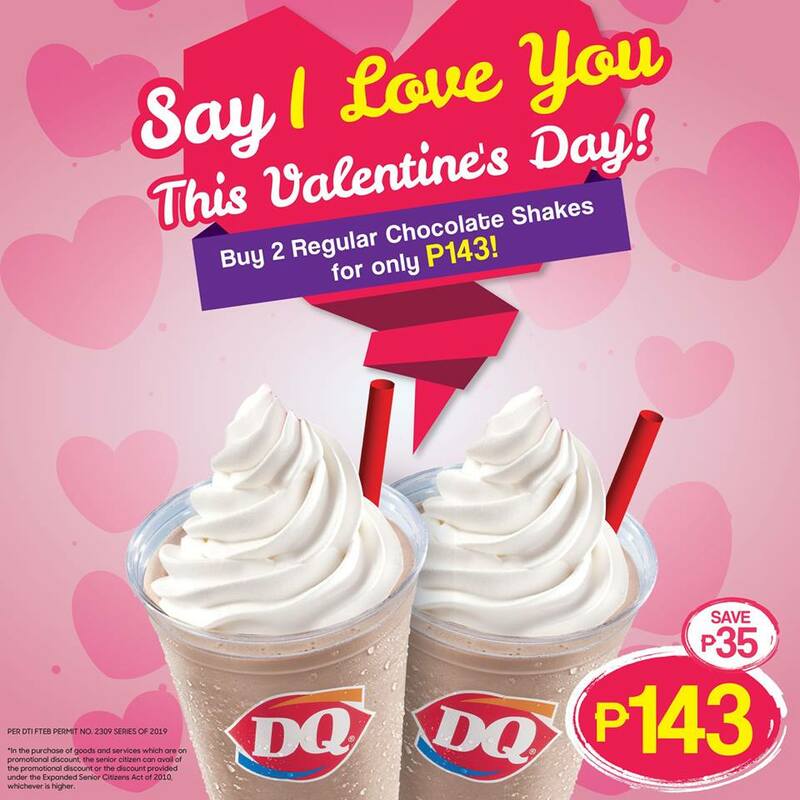 Available in Dairy Queen stores*, *Promo is not valid in DQ stores inside Araneta Coliseum and DQ Enchanted Kingdom. 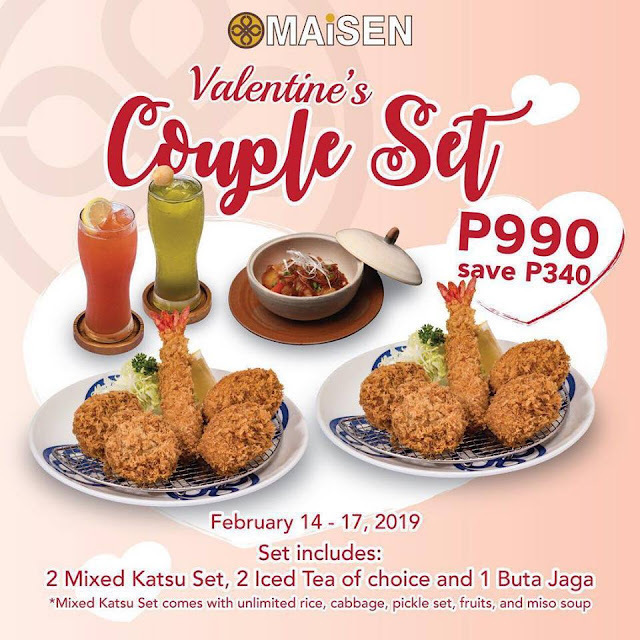 Maisen's Valentine’s Couple Set is back for only P990. Set includes 2 Mixed Katsu Set, 2 Iced Tea of choice, 1 Buta Jaga. Limited offer from February 14-17, 2019 only. 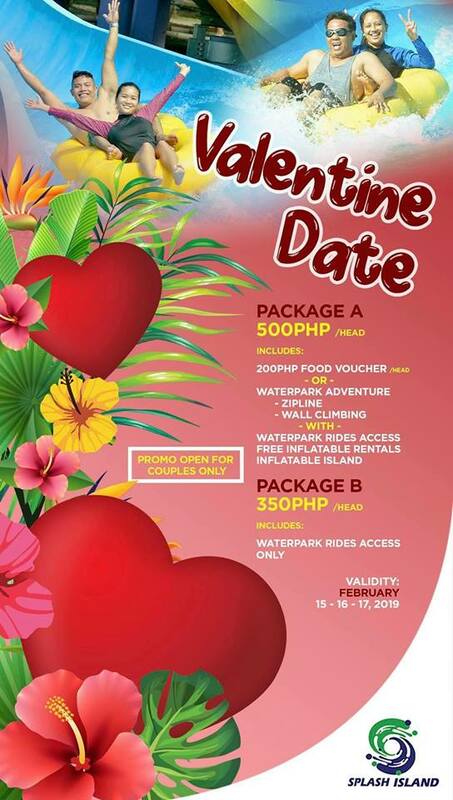 Bring your special someone at Splash Island on February 15 to February 17, 2019, and enjoy a special rate as low as P350/person. 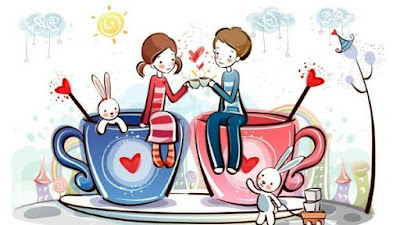 This promo is open for couples only. 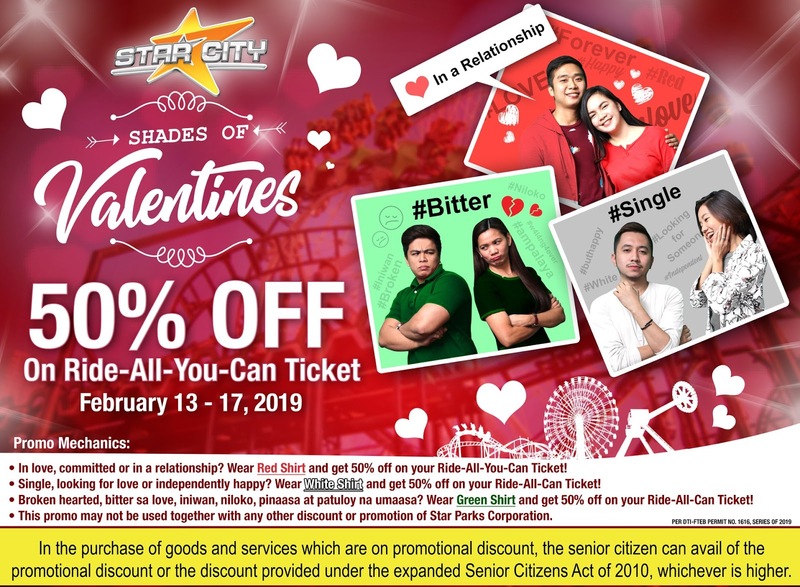 Celebrate Love Month in Star City! Single? in a relationship? or it's complicated? Get 50% on your Star City's Ride-All-You-Can Ticket! 1. In love? committed or in a relationship? Wear Red Shirt! 2. Single, looking for love or independently happy? Wear White Shirt! 3. 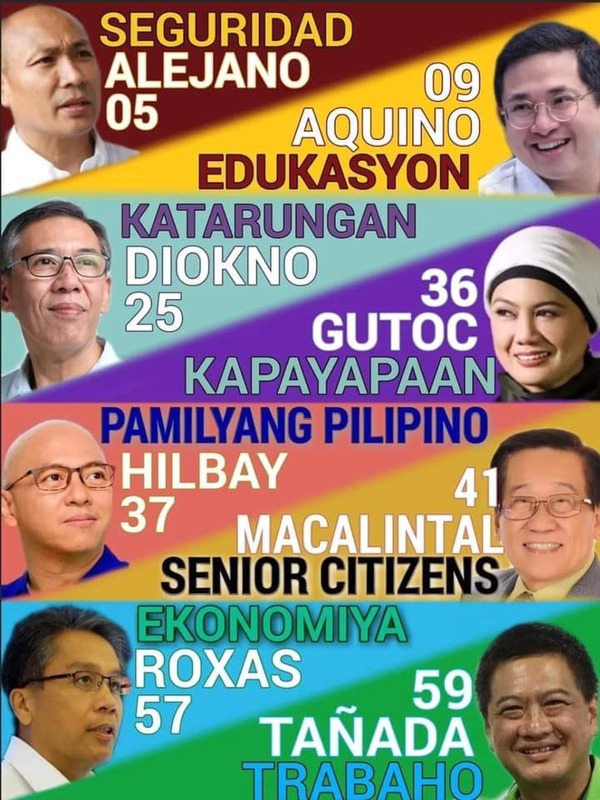 Broken hearted, bitter sa love, iniwan, niloko, pinaasa at patuloy na umaasa? 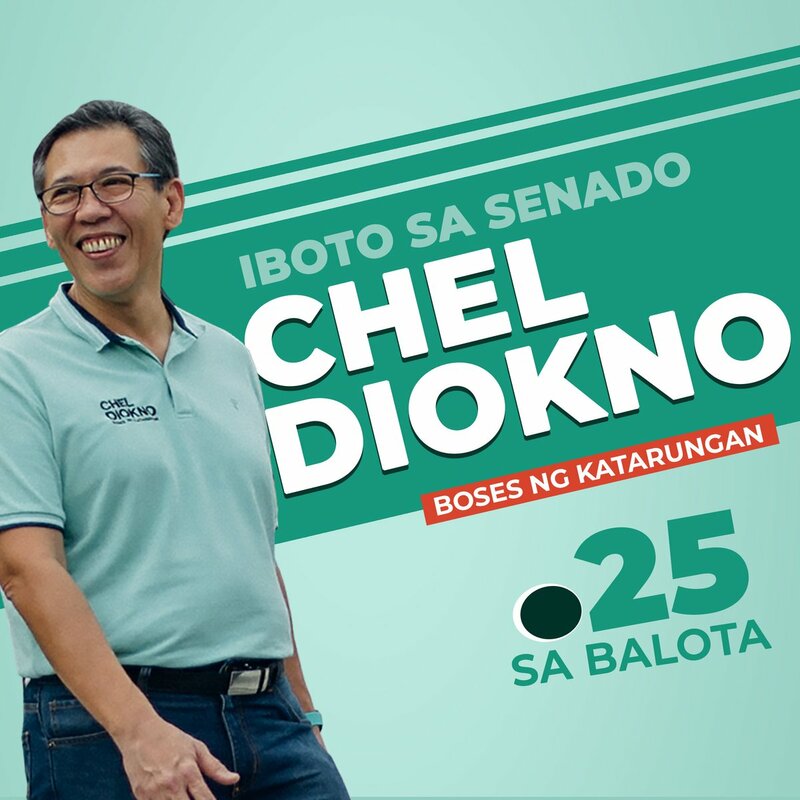 Wear Green shirt!